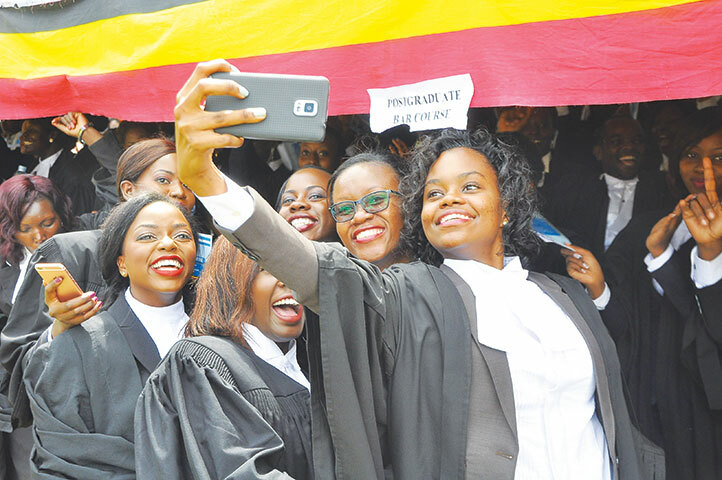 At least 1,100 students at Law Development Centre (LDC) may be sent home prematurely after Stanbic bank transferred their tuition fees to a private law firm’s account. Of these, 675 are doing the bar course and 425 are pursuing diplomas in Law. Speaking to journalists on Friday, LDC spokesman Hamis Lukyamuzi complained that Stanbic bank (Wandegeya branch) worked with Kampala Associated Advocates (KAA) and transferred Shs 1.35bn from the centre’s account without any notice. The transfer of the money dates back to a November 2003 court case LDC filed against a one Daniel Serufusa Wasswa for, among other things, asserting that it is the rightful owner of land comprised on Block 9, plot 222 Makerere. Serufusa had started developing the land sitting on about 3.5 acres. The land, located near the LDC graduation grounds, is separated from the centre’s premises by a temporary makeshift fence. According to Lukyamuzi, the land, together with five more plots in the neighborhood had been compulsorily acquired by government for LDC under the Land Acquisition (Makerere) Instrument of 1987. When Serufusa learnt of the suit, he counter claimed for compensation against LDC for the values of the property. In its defense of the counterclaim, LDC stated that the suit property was acquired by government and that it was its responsibility to compensate Serufusa but not LDC. However, in November last year, Justice Bashaija delivered a final ruling in favour of Serufusa. The judge then found that government did not compensate Serufusa so; he awarded him costs for the suit and the value of the land to a tune of Shs 1.079bn. Serufusa was also ordered to surrender the land title to the chief registrar of titles for cancellation upon payment by government. Lukyamuzi claims that the judgment was delivered by court in LDC’s absence and its lawyers. “Serufusa had abandoned his previous lawyers and now working with KAA which created confusion,” Lukyamuzi said. “The court also signed a decree [obtained by KAA from the registrar] in the suit without approval of LDC or her lawyers as required by the Civil Procedure Rules,” he added. Serufusa, through his new lawyers (KAA), went ahead and obtained a Garnishee Order Nisi dated January 20, to find ways of having their money paid. KAA attached LDC’s monies at Stanbic bank for payment of special damages (Shs 1.07bn), interest (579m) and general damages (500m). Aggrieved by the acts of the defendant and KAA, LDC’s lawyers filed among others, Misc. Application No. 102 OF 2017 for interalia, ordering that the decree be set aside. On February 3, LDC was also granted an interim order where court ordered that the status quo be maintained and no monies be transferred. But on February 9, 2017 inspite of the interim order, LDC alleges that KAA obtained a Garnishee Order Absolute from the registrar. This order indicated that the money should be paid immediately to the judgment creditor (Serufusa). “It was through a good Samaritan from Stanbic bank who told us that KAA was transferring our money,” Lukyamuzi said. He added that Stanbic transferred Shs 1.36bn from the LDC account to KAA’s account in the same bank. The money was again transferred to KAA’s account in dfcu bank on the same day. 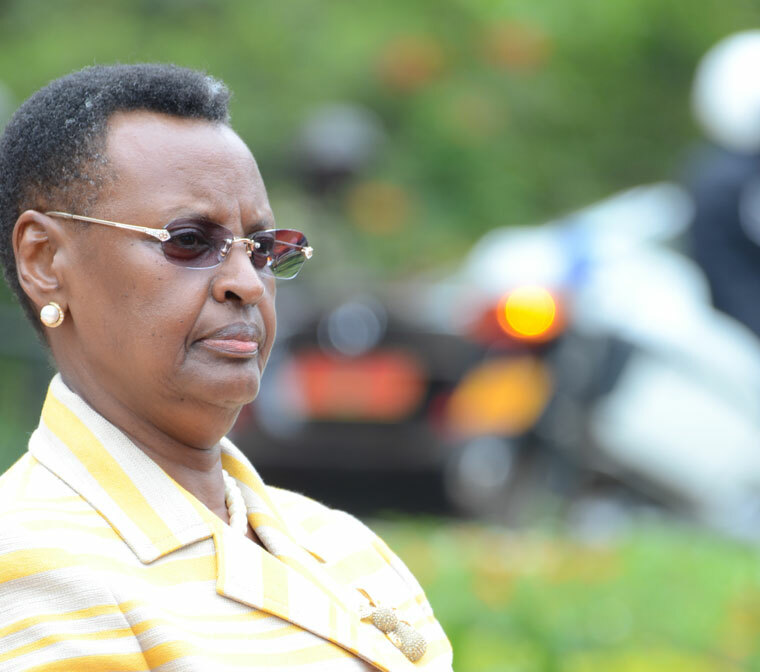 Lukyamuzi described the transfers as criminal, unprofessional and wrongful. But speaking to The Observer Saturday, Cathy Adengo, the Stanbic communications manager, said the bank transferred the money legally. “Protection and maintenance of client deposits is our primary responsibility and one we take very seriously. The funds in this particular case were transferred under a court order and in accordance to the legal process,” Adengo said, before informing us that the bank will this week meet LDC management over the matter. LDC has since filed a case with police against Stanbic bank and KAA. Even after the appeals court confirmed her ejection as Kamuli Municipality MP for lacking academic qualifications, Rehema Watongola has vowed to stand in the by-election. Last Tuesday, all three Court of Appeal judges upheld the High court ruling that cancelled Watongola’s election, concluding she did not have an A-level certificate or its equivalent. Watongola appealed after the Jinja-based High court judge Geoffrey Namundi nullified her election in June last year, saying first-time NRM MP failed to defend the authenticity of her papers after they were disowned by Busoga University. But when she appeared on CBS radio’s phone-in programme, Nze nga Bwe Ndaba (The Way I See It), Watongola wondered why the Court of Appeal disregarded her strong evidence. She said there’s no way her university’s vice chancellor could say she didn’t go to school yet he was the guest of honour at her graduation ceremony. “I took enough evidence to court and I know what I have. The entire Busoga knows. My schoolmates and classmates are alive and we graduated together. What does an equivalent mean and why did they throw me out? What reason do they talk about?” Watongola asked. Watongola said she would contest in the now-impending by-election despite losing in both courts. “The judges have done their work and now let’s go back to the voters and let them decide. They will vote for me. Those wondering which papers I’m going to use are not my voters. I know my voters,” she said. Watongola maintains that the academic papers she will present are her secret. Ladislaus Rwakafuuzi, a renowned lawyer, said the nullification of Watongola’s election did not bar her from running for the same seat again. He said that if she contests, the Electoral Commission will have to vet her and if she has the right documents, she will be nominated. “Court didn’t bar her from standing; they just nullified her papers and she is free to contest. May be she filed the wrong documents but once she forwards the right documents, no one can stop her from running. The EC cannot use the Court of Appeal judgement against her,” Rwakafuuzi told us by telephone on Friday. 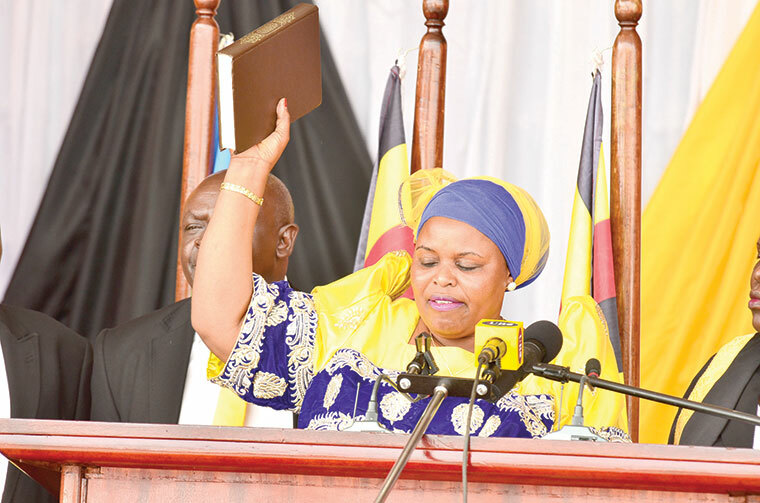 In a telephone interview with The Observer, Dr Tanga Odoi, the NRM electoral commission chairman, said Watongola would only be allowed to stand if she forwards the authentic documents. “We are yet to see the papers she is going to use. It’s our legal directorate to advise us and we have not yet even called for expression of interest in that seat,” Tanga said Friday. Asked about Watongola’s eligibility, Electoral Commission spokesman Jotham Taremwa declined to comment. “We have not yet received yet any formal clarification from the clerk to parliament and I would not really like to comment about such an issue,” Taremwa said. After nearly 70 days in jail since his arrest in November last year, Rwenzuru king Charles Wesley was yesterday afternoon finally granted bail by Jinja High court. Now, details of the negotiations between the Rwenzururu king and government for his temporary freedom have started emerging. Mumbere was released on a non-cash bail of Shs 100m and his sureties bonded at Shs 100m each, non-cash. 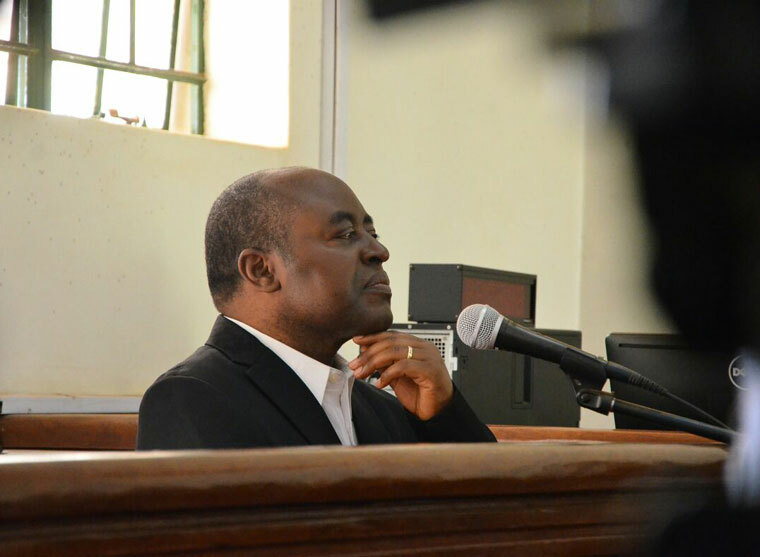 Mumbere's lawyer, Caleb Alaka told justice Michael Elubu in Jinja High court that the king had agreed to some conditions with government for his release from Luzira prison. The king was remanded to Luzira prison in November last year together with his prime minister, Johnson Thembo Kitsumbire and 161 royal guards for their role in the Kasese clashes, which claimed the lives of more than 100 people including royal guards and policemen. The suspects face 41 counts ranging from treason, terrorism, murder, attempted murder to aggravated robbery and malicious damage to property. On January 13, 2017, Justice Eva Luswata released Mumbere on bail but he was re-arrested shortly after and slapped with fresh charges. As a result, Mumbere made a fresh bail application, which came up for hearing before Justice Michael Elubu. In his submission, Mumbere's lawyer, Caleb Alaka listed some of the conditions they had reached with government for his release. He said that they had agreed that the Uganda People's Defense Forces (UPDF) and Uganda Police Force takes over the security detail of the king. Mumbere is also expected to observe the bail terms set by Justice Eva Luswata during his earlier release. They include restricting his movements within Kampala, Wakiso and Mukono districts. He also barred from traveling to Kabarole, Ntoroko and Kasese districts without prior permission from court. Mumbere is also expected to report to the Criminal Investigations Department in Kampala once every month. Some of the people who stood surety for the king include his brother Christopher Kibanzanga, the Agriculture state minister, businessman Geoffrey Baluku, Constantine Bwambale, the former Rwenzururu premier, Edwin Kugonza, the managing director Real Marketing and Amos Mugisha. Four of the 42 beneficiaries of the Shs 6 billion ‘presidential handshake’ from Uganda Revenue Authority (URA) struggled to explain their roles in the Heritage Oil and Gas arbitration case. Mathew Mugabi, the former URA Litigation manager, Samuel Kahima, the former acting manager Rulings and Interpretations, Moses Kibumba, the former Chief Assessor and former Natural Resource supervisor Annet Bazalilaki appeared before the Committee on Commissions, Statutory Authorities and State Enterprises (Cosase) chaired by Bugweri County MP, Abdu Katuntu, which is investigating the oil cash bonuses. 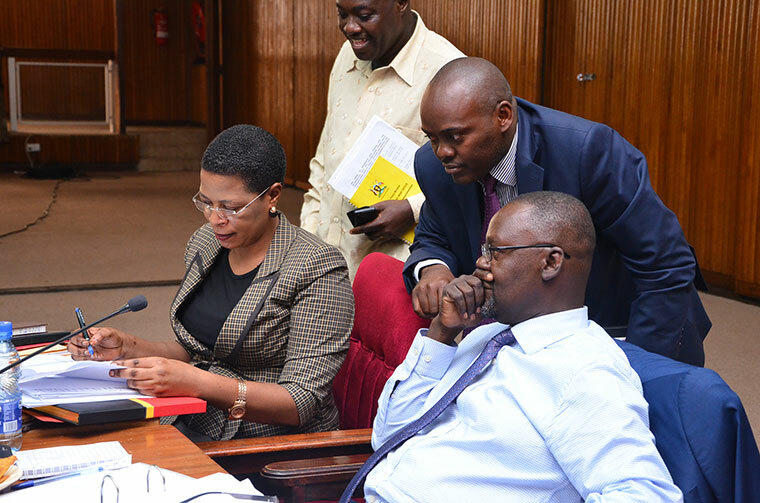 Evidence before the committee shows that Mugabi and Kahima pocketed Shs 121 million each while Kibumba and Bazalilaki received Shs 73 million and Shs 56 million respectively. During the meeting, the Committee chairperson Katuntu tasked the four officials to explain the ‘extraordinary’ roles they played in the oil arbitration case to warrant a special reward from the president. Mugabi, who travelled to London more than five times, said his role was to provide background information on how they argued the case in the Arbitration Tribunal and High court in Uganda. “The filing of this pleading, the drafting of this pleading, the research that was involved in coming up with sound pleading throughout the entire process - right from the tribunal stage, High court stage to the filing of submissions; to doing research - which involved a lot of issues that had no precedence as far as they were concerned; meetings with the different witnesses to interview them. Going over and above witnesses to find things that we did not know before, in my view amounted to a lot of effort on our part”, Mugabi submitted. Busiro East MP, Medard Ssegona asked Mugabi the number of witnesses URA presented for the case. Mugabi said he couldn't remember the exact number, but only said they were more than two witnesses. “You’re the one who brought up the issue that you interviewed witnesses; we are asking who were these witnesses?” Katuntu asked. “My reference to interviewing witnesses was far as the proceedings before the tribunal was concerned. That is the reference I made and any answer beyond that, Mr chairman I want to give you facts as they are. I don’t want [the committee] to speculate…The number of witnesses was more than two”, he answered. This response drew angry reactions from Ssegona and Katuntu who wondered how URA officials expect the committee to believe their claims to have played an extraordinary role if they are giving such half answers. “If you don’t remember all those things, how do you want me to believe that you did an extraordinary job to justify retention on job, two; an extra reward?”, Ssegona said. On his part, Kahima said he handled objections to the case since it was leaning toward enforcement measures. Kahima also said he was the only member of the team who had practiced under the income tax decree and was there to support the arbitration team by conceptualizing the matter. He however, agreed with the Katuntu that even with this, he would ordinarily be performing his job. Kibumba, the former URA chief assessor sent the probe committee into pro-longed laughter when he said that the Heritage Oil and Gas Company case was extraordinary since it generated abnormal heat and workload. “The case was extraordinary that you never had the normal time to assess; you never had the normal time to do the job. So you had to think faster, you had to do things around the clock and we were put on 24-hour call, 24-hours call! And they provided cars at Crested Towers to allow us to move and move”, he said. Bazairaki said her role in the oil arbitration case was to conduct research on the matter from the internet. The probe committee resumes on Wednesday with submissions from other beneficiaries from the presidential handshake from URA. At least 42 government officials benefited from the presidential handshake for their role on the arbitration. The tax dispute arose after Heritage sold its interests in Uganda's oil to Tullow Oil.